It's time to get to work on Bones. The team gathers around a few, well, bones in this shot. 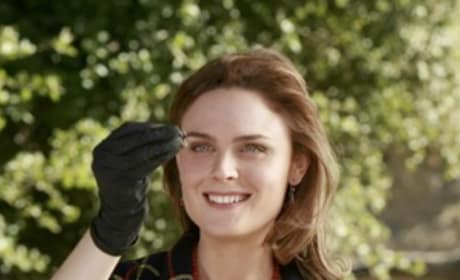 Bones appears to find a clue during this still shot from "The Princess and the Pear." Way to go, Brennan! Marisa Coughlan guest stars as FBI Agent Payton Perotta in "The Princess and the Pear." Here's a shot of the character. Booth tries to escape from the ship in this scene from The Hero in the Hold. This fourth season episode aired in February of 2009. Booth needs help. So Brennan and the team organize to come to his rescue in this scene from the show. This is certainly a different side than usual to Bones. She's seen here, undercover at the circus. 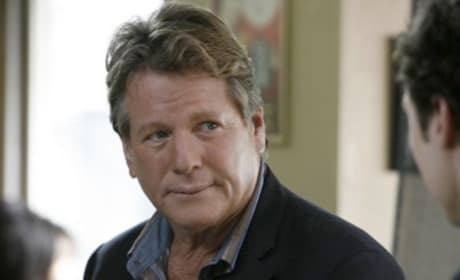 Ryan O'Neal plays Brennan's father on Bones. His name is Max.